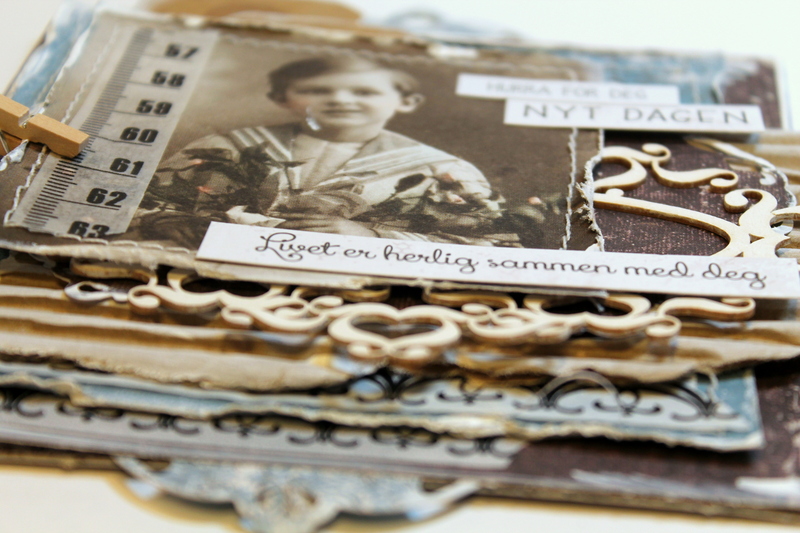 Today I’m posting my last project for Maja Design. What an exciting year this has been! 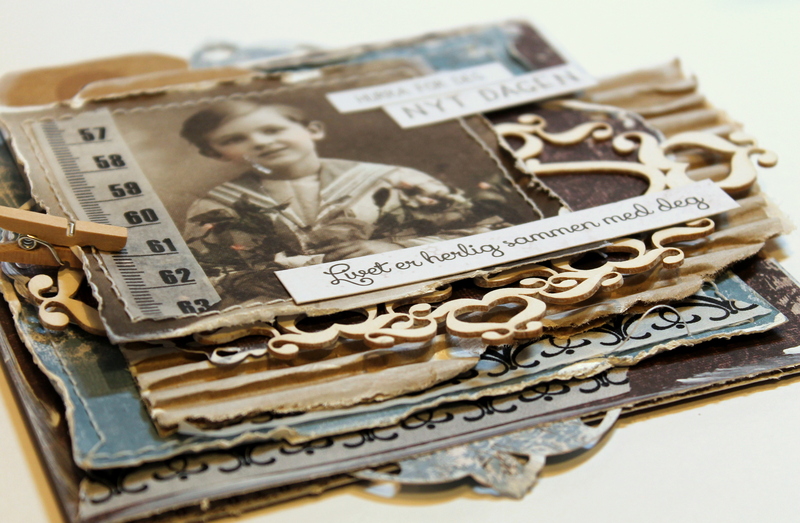 Thanks to Maja Design who has been given me the opportunity to create with their faboulus papers through all 2015! It’s has been a great experience. Even though it’s Christmas, I have something else than a Christmas prosject to show you today. My husband has his birthday on the 25th of December so today I have made him a birthday card. 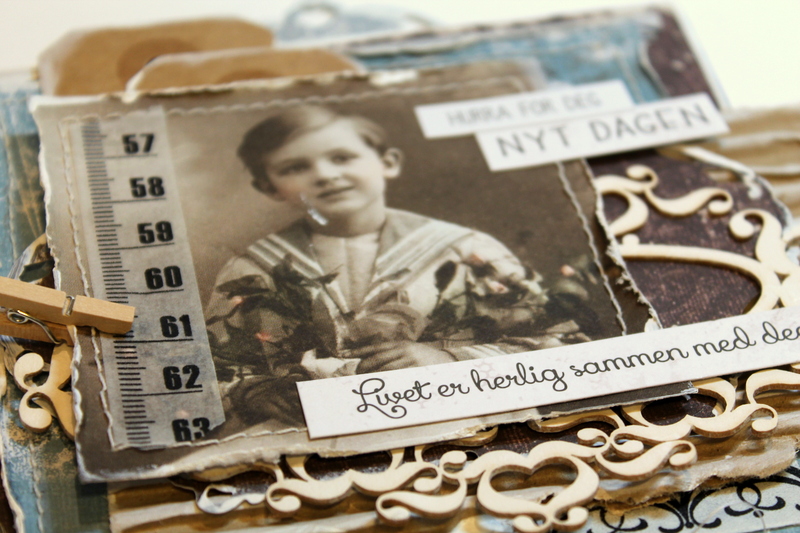 I have used papers from both Vintage Summer Basics and Vintage Autumn Basics together with a vintage image, washi tape, chipboard, corrugated cardboard, stickers and a pin. 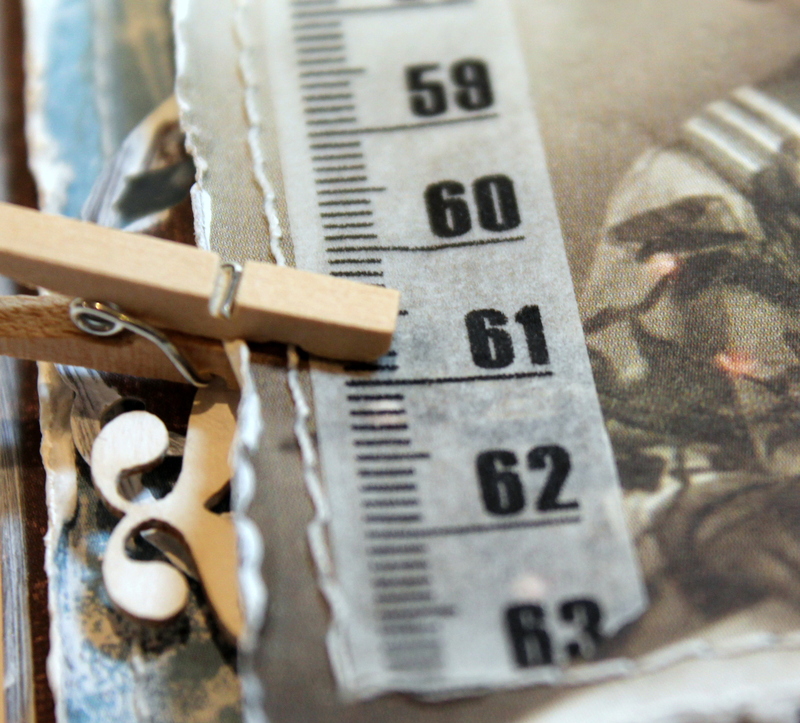 The card is made with a lot of layers. The pin indicate how old he will be on Friday. Thank you so much to all of you who have followed me here at the Maja blog during this year and thanks for all your kind comments! I hope to see you around in the future, please feel free to follow my work at my FB page or in my blog. Wish you all a Merry Christmas and a Happy New Year! It’s winter and soon it’s Christmas! It’s winter, and soon it’s Christmas. 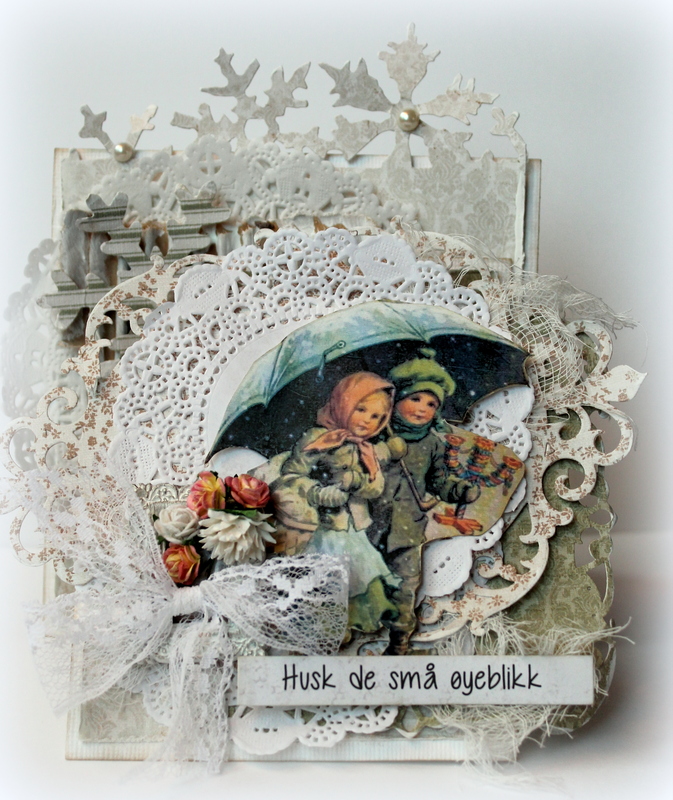 Today I have created a wintercard using papers from the “Enjoying Outdoors” collection. 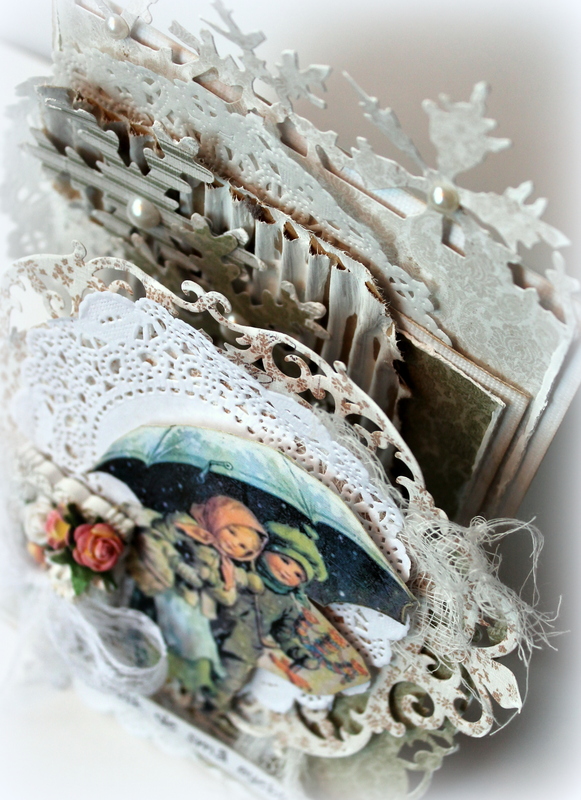 This card is a kind of easel card and I have decorated all parts of it. 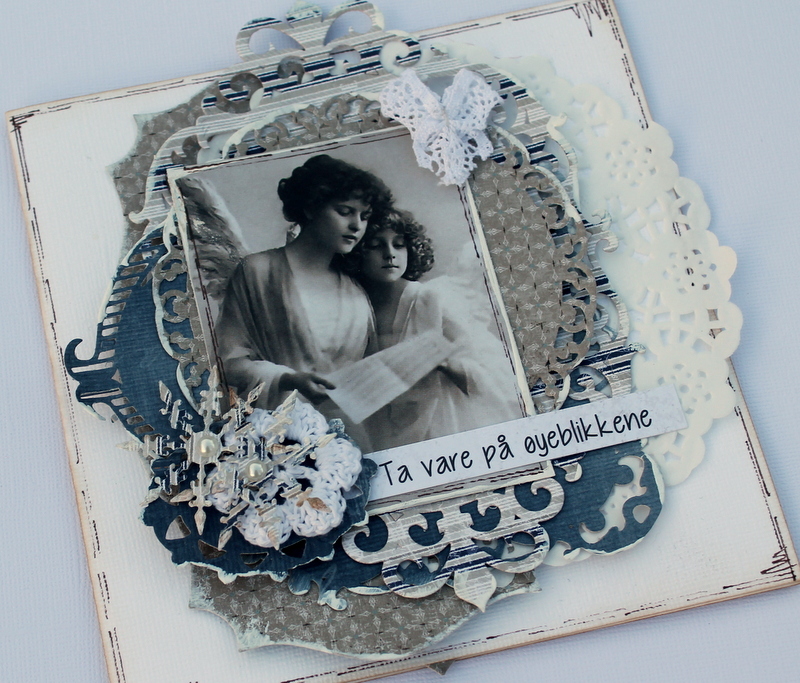 Together with the Maja papers I have used an image from an old postcard, doilies, pearls, lace and flowers. Some days ago I received the new Christmas papers from the “Home for the Holidays” collection, and I felt totally in love with the lovely colours in the papers. 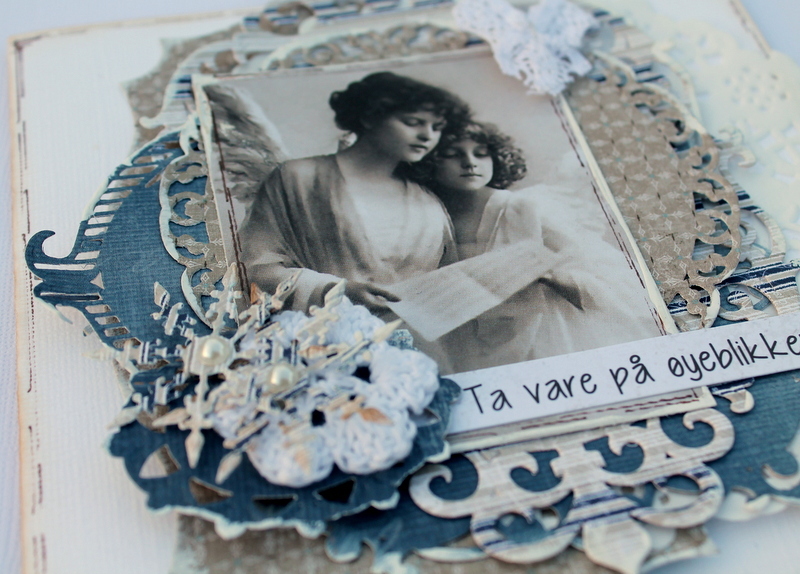 Today I have made a Christmas card with some of the blue tone papers. 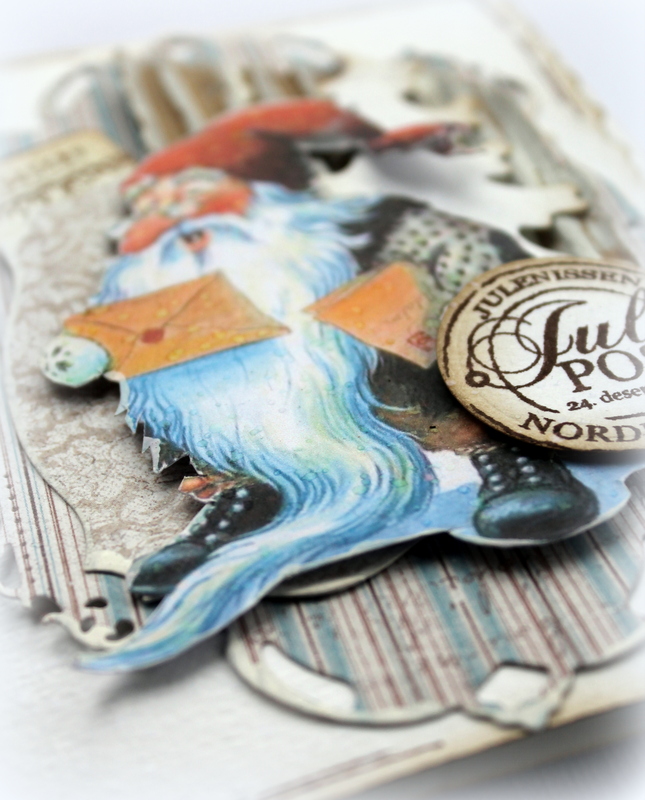 Together with the new papers I have used an image of a traditional Norwegian gnom. 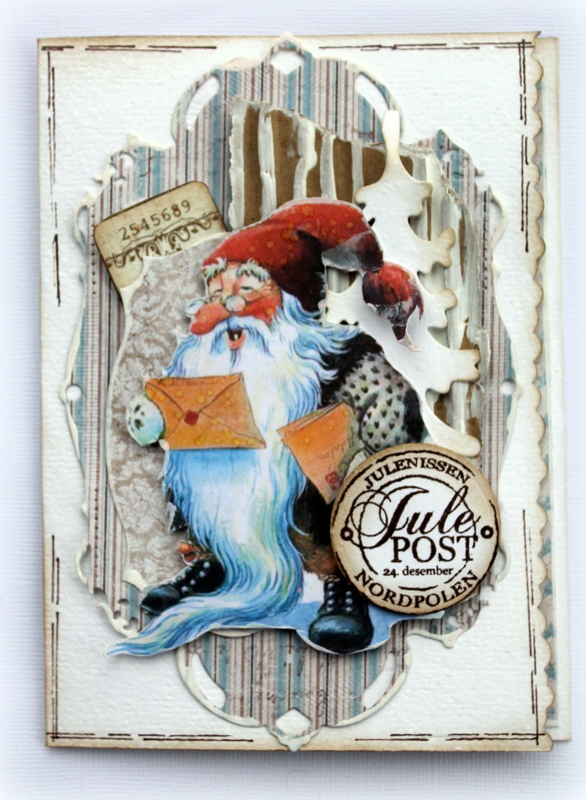 In Norwegian he is called “nisse” and he is known for that he guards all the farm animals. In old days they always placed a bowl of rice porridge for him outdoors on Christmas Eve, and if he didn’t get the porridge he played tricks on the farmer. Today I thought I was going to give you some inspiration to start on your Christmas cards. 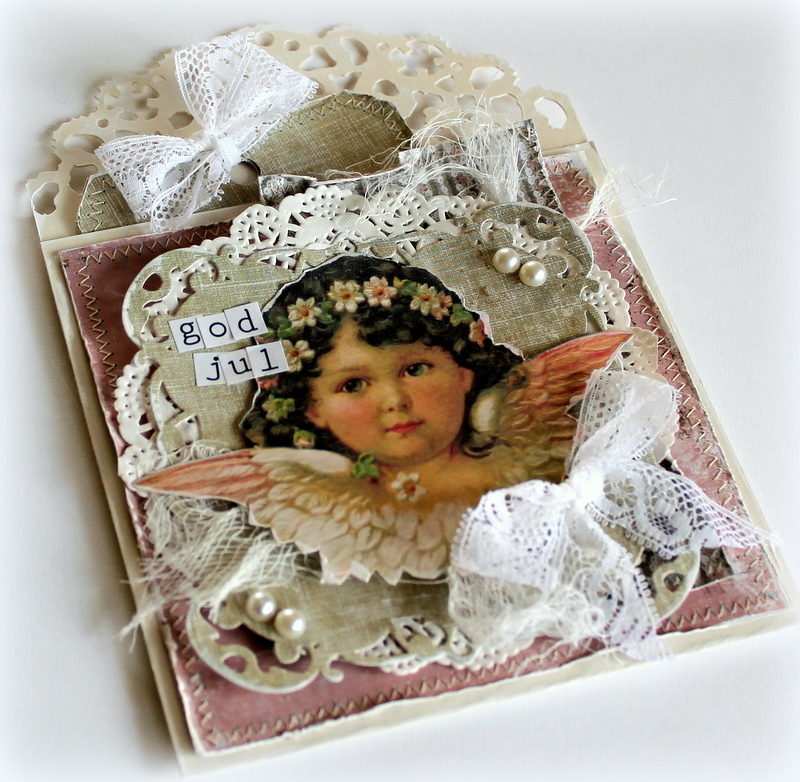 This card is made with left over papers from several of Maja Designs collections. All in blue, beige and brown. 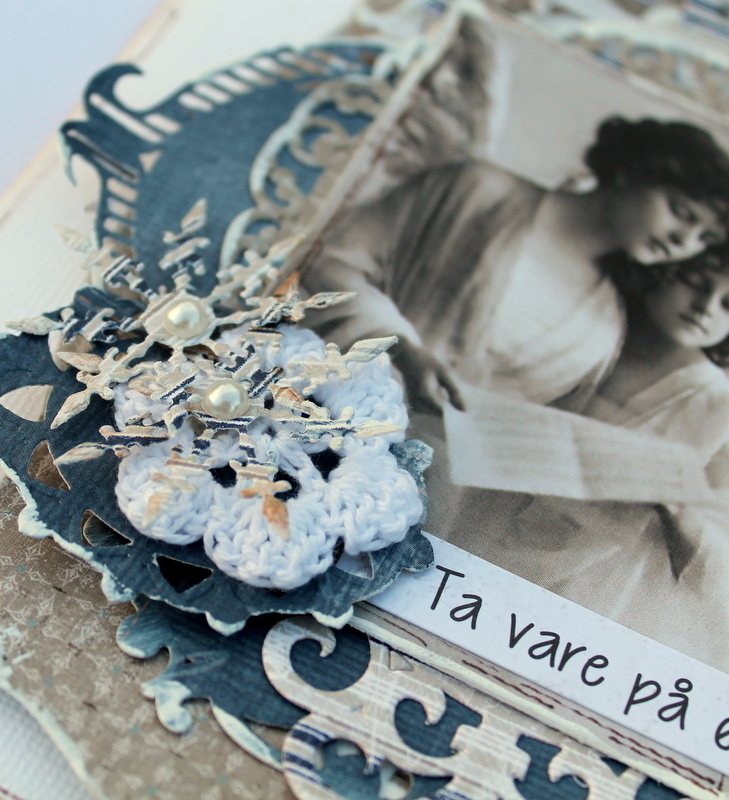 I have used an image from the Internet, a doily, pearls, lace and a crochet flower. 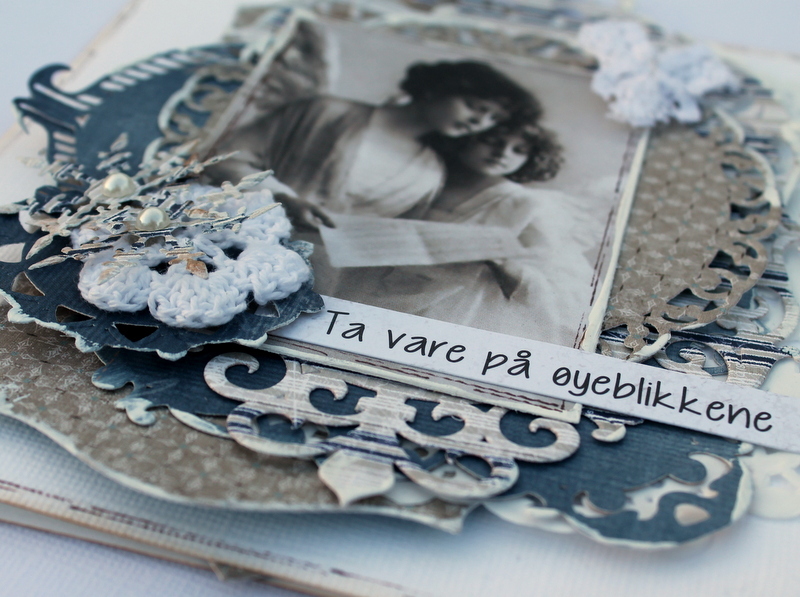 The text is in Norwegian and means “take care of the moments”. 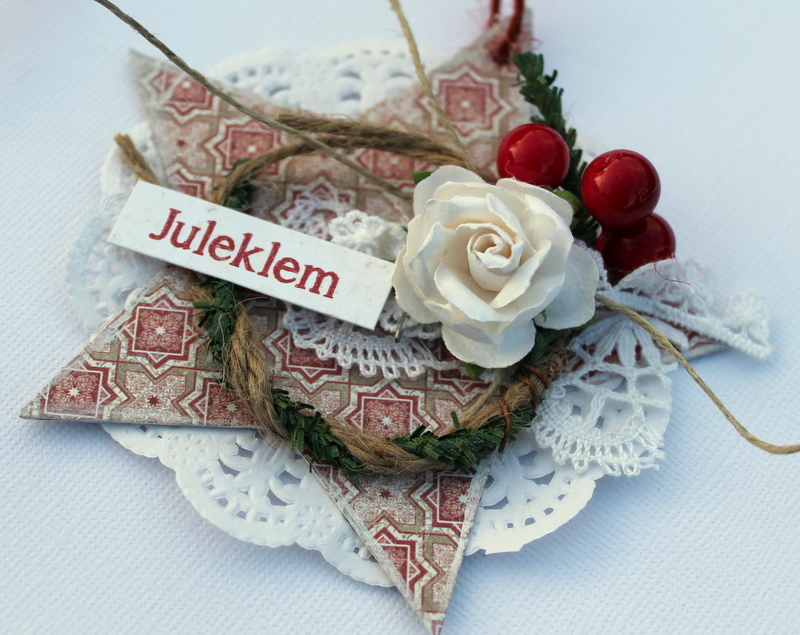 I have also made a tag for a Christmas present. 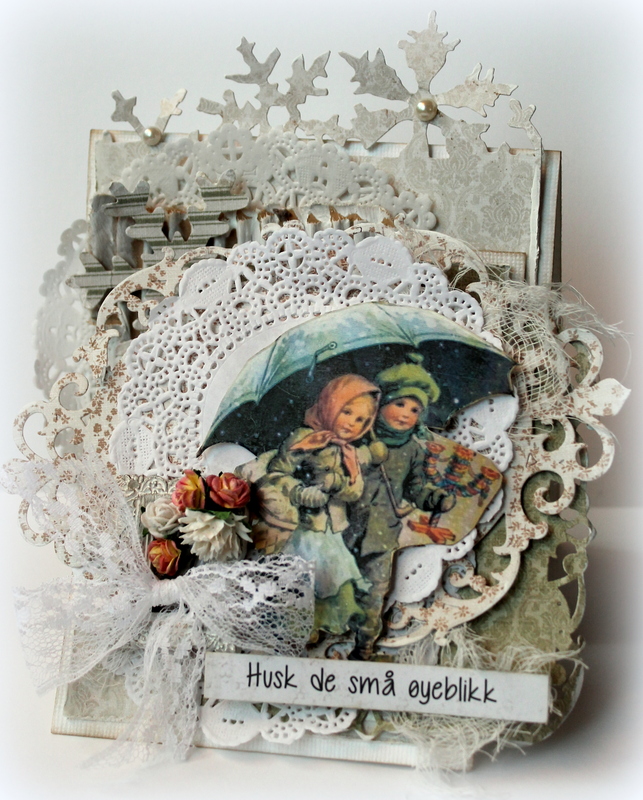 Here I have used papers from Vintage Winter together with a doily. 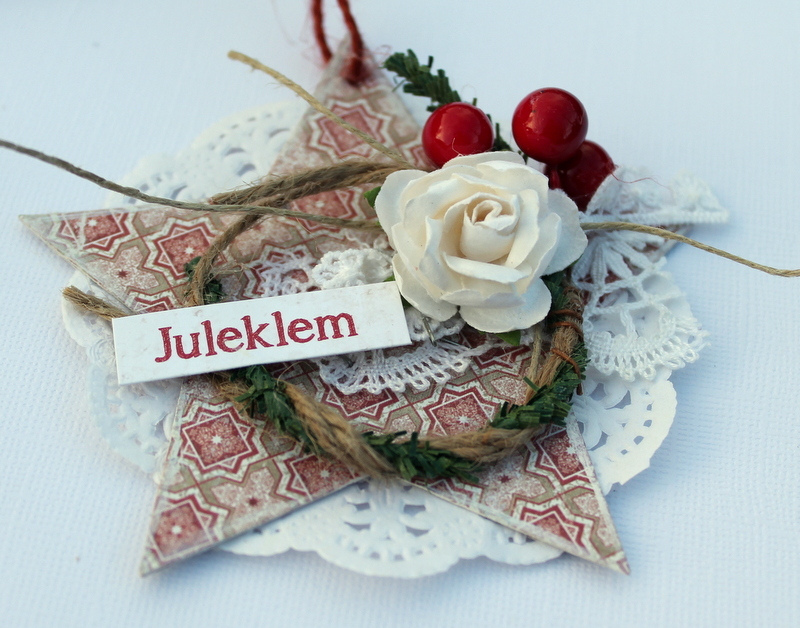 The tag is decorated with twine, a paper rose, red berries and lace. 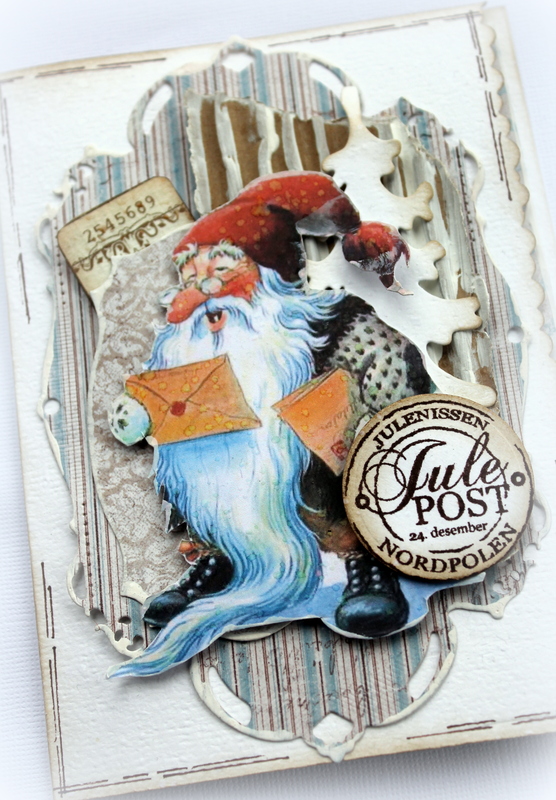 Have you started with your Christmas cards yet? I have! 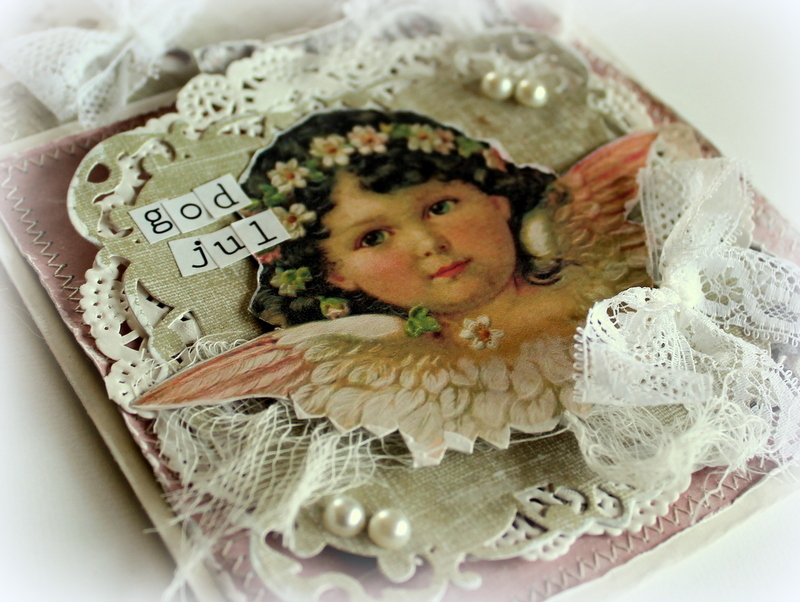 Time flies, and Christmas always comes to fast, so I always start making Christmas cards in October. 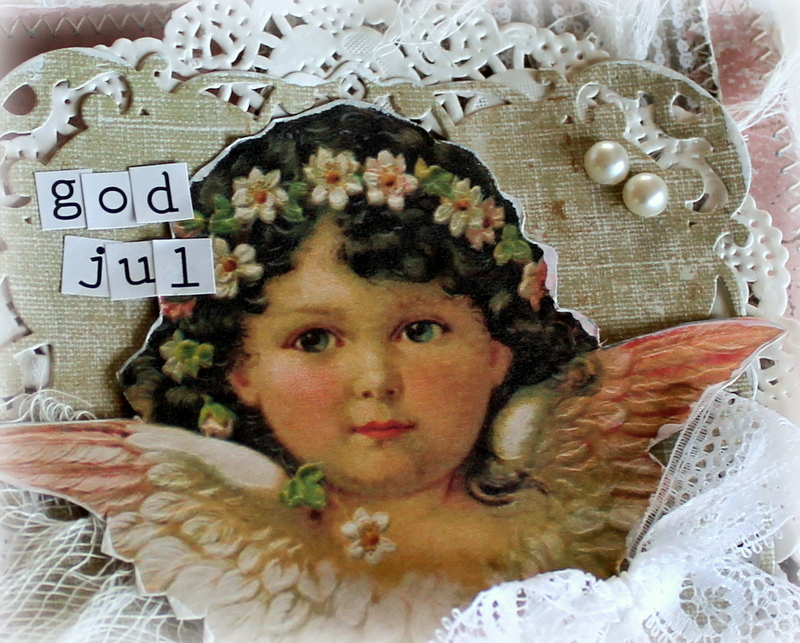 This week I have made a Christmas card in untraditional colours. 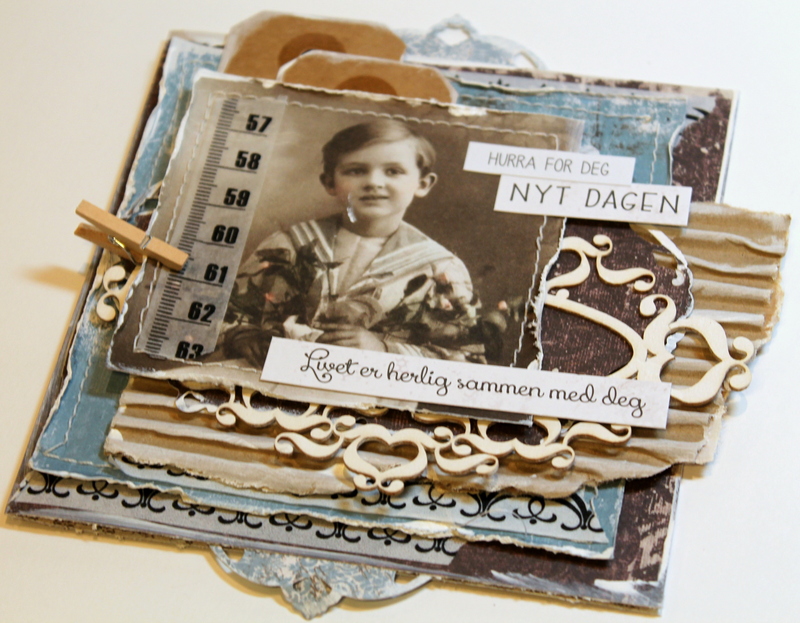 I have used papers from both the new “Enjoying outdoors” collction and the “Vintage Summer Basics” collction. 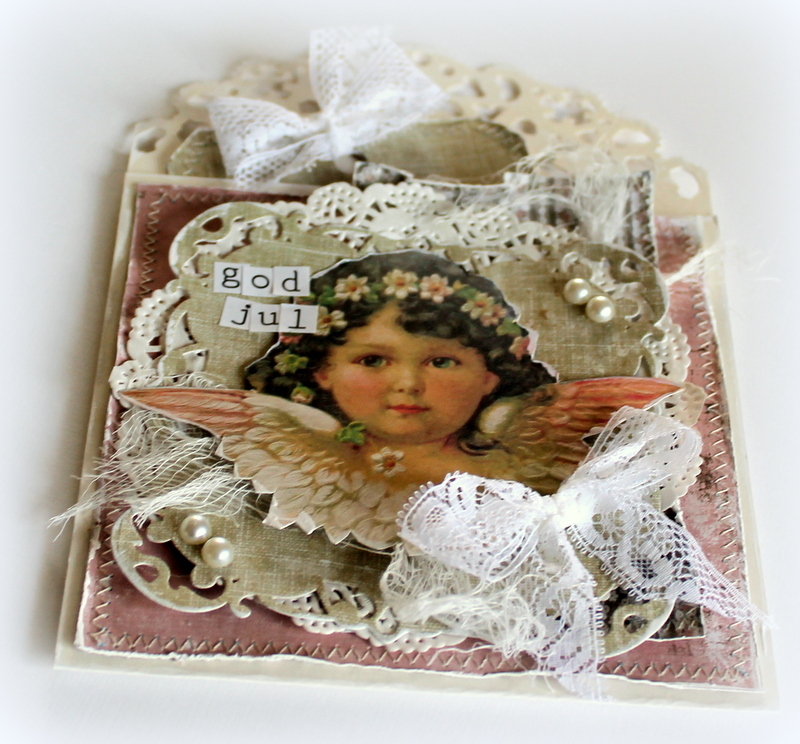 The image of the angel I have found on the internet, and I have decorated the card with a doily, pearls, cheese cloth, lace and alpha stickers together with the lovely Maja papers. I wish you all a creative Wednesday! Take care!